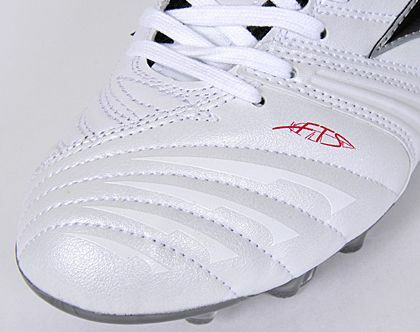 Mizuno have had a relatively quiet summer since unleashing the new Wave Ignitus II, but now the Japanese brand are preparing to ring in the new season with some new colourways for their best football boots – starting with this awesome Mizuno Supersonic Wave II – White/Black/Red! The Mizuno Supersonic Wave II has seen a pretty considerable overhaul from the original Supersonic Wave – at least in it’s advertising -' with Mizuno pitching it as ‘Perfect for the Playmaker’. 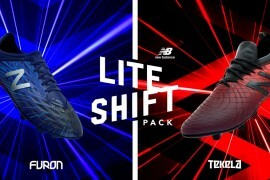 Seemingly hopping on the same ‘control’ football boots bandwagon as the CTR360 II, Geometra Pro and adiPower, Mizuno say their combination of masterfully-treated K-Leather, incredible stability and optimal touch are what playmakers are really after. 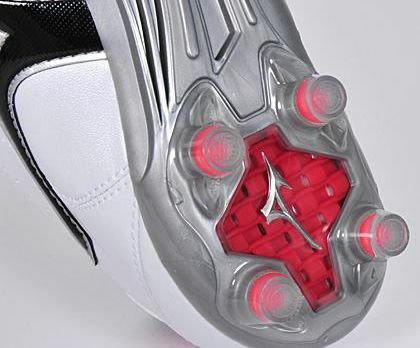 Building upon the ‘Feather Touch System’ in the forefoot of the Supersonic Wave, the' Mizuno Supersonic Wave II has refined the area over the toes, using an unorthodox dual-pattern vamp which allows these football boots to crease perfectly depending on where a player wants to go – either for straight-line speed or hairpin turns. The creases of this vamp are packed with a low-rebound foam, that adsorbs the impact of the ball against the boot giving a remarkable feel for the ball when you have it, and for taking the sting off it when you receive it from a team-mate. 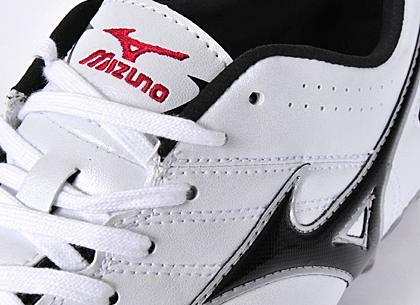 Also returning from the previous model is Mizuno’s Tiger Claw outsole. 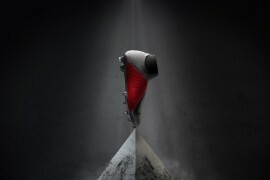 The design allows the stud to grip more of the turf than your average ‘mouldie’' football boots outsole, whilst the whole outsole unit itself only weighs 80g! After releasing in two mostly-blue launch colourways, the' Mizuno Supersonic Wave II – White/Black/Red is definitely a nice contrast, and would look great with just about any kit. 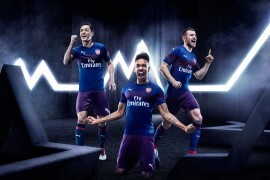 The first player it made us think of is Stoke City’s Kenwyne Jones, who wore the Supersonic Wave for much of last season. However, the big Trinidad & Tobago international has been spotted playing his pre-season in the new Nike Tiempo Legend IV’s! That still doesn’t take away from what a great colourway the' Mizuno Supersonic Wave II – White/Black/Red is, with the bold red a real highlight from the classic White/Black upper. The' Mizuno Supersonic Wave II – White/Black/Red is hitting store shelves now in Japan, Korea, Australia and New Zealand and is expected to land in Europe later this year. 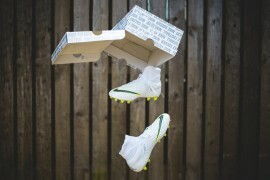 What do you think of these football boots? You’ve read this far, you may as well leave us a comment below! 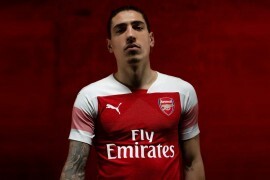 wish we could get them here in the US. 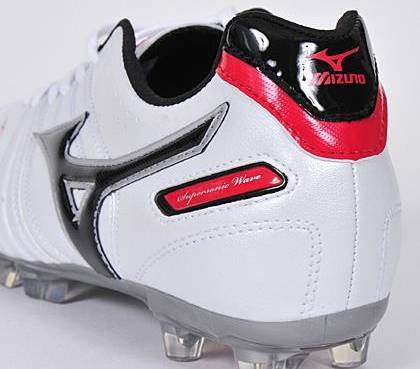 I’m a big fan of Mizuno football boots! If only more professional players wore them they would gain more visibility and the respect they deserve. I didn’t like the feel of the Supersonic Waves as much as I like the Morelia and Wave Ignitus. That’s not to say it’s a bad boot, I just returned them in favour of the others.